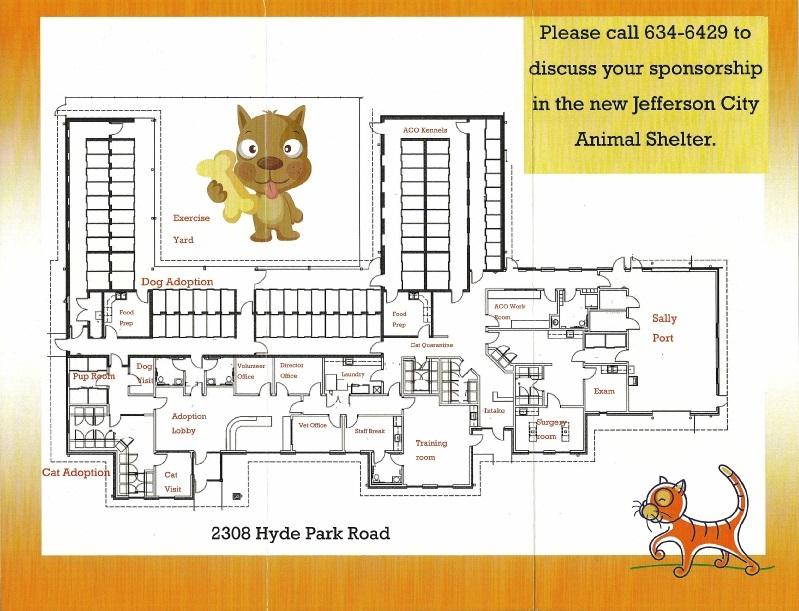 You can sponsor a cat or dog kennel, or even a particular room of the animal shelter. A placard will be placed on the sponsored area with your name or message. There are a variety of prices depending on what you choose to sponsor. Please call the animal shelter at (573) 634-6429 to discuss your sponsorship options.